Once again, the government of SYRIZA has shown its true face as a partner of the U.S.-NATO imperialism. 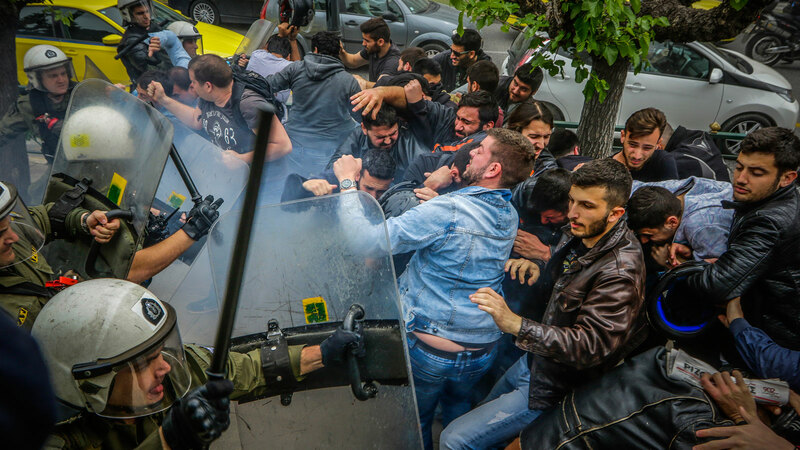 This time, riot police violently attacked protesters (mainly students) who were demonstrating in the center of Athens against the imperialist attack in Syria. When protesters attempted to pull down the 3.5-meter statue of war criminal U.S. President Harry Truman, police forces fired tear gas and flash grenades, beating them with bats. "Under the command of the SYRIZA-ANEL government, the forces of Riot Police attacked with bats, chemicals, tear gas and flash grenades against the mobilization. In fact, the forces of repression, hit with murderous blows and sent three protesters to the hospital, even came to the point and kidnapped 3 students who participated in the mobilization. The government, with its current attack, proves to be the best partner of the USA imperialism. The statements of the American Ambassador, who stated that "they are brothers", confirm this. They go together hand-hand in the carnage and the massacre of the peoples." "The KKE denounces the assault of the riot police, with chemicals and flash grenades, against the demonstration that had been organised by Trade Unions and students' associations, against the imperialist attack in Syria. The result was two detentions and two injured protesters. 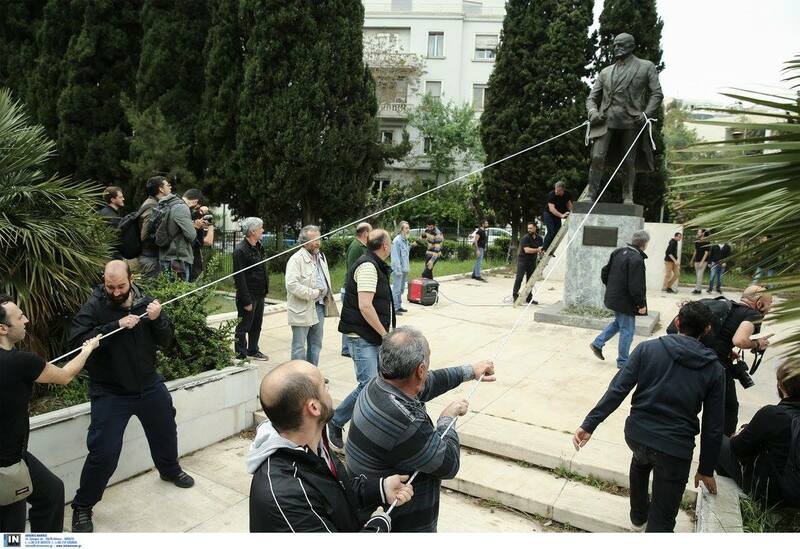 The SYRIZA-ANEL government bears huge responsibilities for this incident. Not only it participates actively in the war against Syria, with numerous facilitations thus receiving congratulations from the U.S. ambassador, but seeks to promote its committment to the US-NATO plans, brutally beating protesters and defending with numerous police officers a statue- fossil of the bloodstained american imperialism. The people and the youth draw their conclusions for the role of the Greek government, they aren't intimidated and will be even more dynamically present in the mobilizations of the next days".